Award ceremony at Kalani High School in December 2016! In May 2017, leaders from the University of Hawai‘i, Department of Education, and Maunakea Observatories declared their commitment to this program by creating an educational partnership. 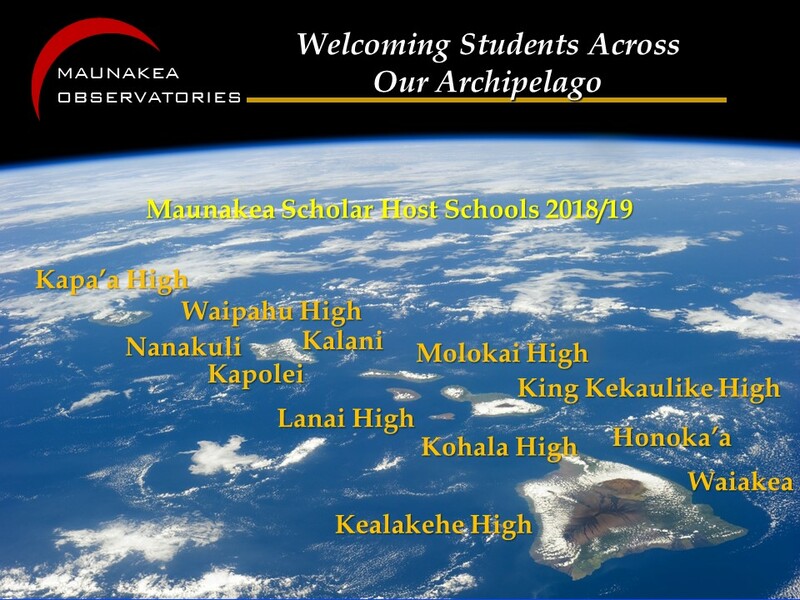 This partnership commits resources to the program and forms a Working Group with expertise from the Department of Education, University of Hawai‘i and the Maunakea Observatories to further develop and advance the program. The University of Hawai‘i’s Institute for Astronomy provides most of the program’s mentors, the Department of Education provides links to teachers, schools, and curricula statewide, and the Maunakea Observatories provide observing time, summit access/tours, infrastructure and overall coordination of the program. The students of Hawai‘i are capable of anything when provided the tools and mentorship to flourish. Maunakea Scholars puts the universe at their fingertips.